More than 30 years ago I wrote a personal mission statement. It’s a relatively brief and straightforward document (less than half a page), focusing on six roles that I identified for my life. I use it as a daily, forward-looking reminder of my commitments, vision, and purpose. As my friend Stephen Covey used to say, when you live out of memory you focus on the past. When you live out of your imagination you focus on the future. Of course there’s also value in living in the present. After decades of observing and studying effective people, I’ve noticed one characteristic that sets them all apart: they have a single-minded devotion to what they want to be. Not just what they want to do, but what they want to be. 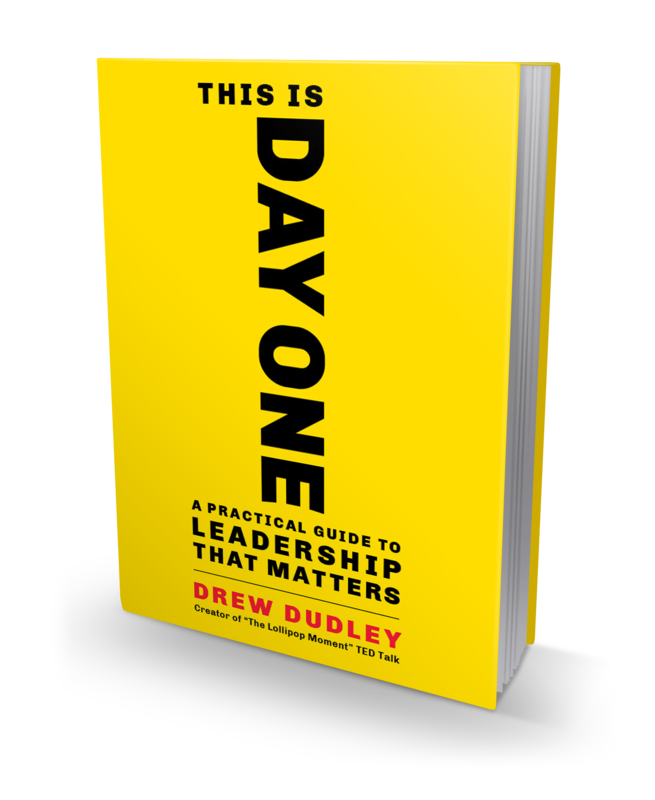 That’s the emphasis in Drew Dudley’s new book This is DAY ONE: A Practical Guide to Leadership That Matters. This is a leadership book with a different twist. It’s not about leadership involving position, titles, organization charts or corner office privileges. It’s about the day after day behaviors that enable influence and making a positive difference. Impact—What have I done today to recognize someone else’s leadership? Courage—What did I try today that might not work, but I tried it anyway? Empowerment—What did I do today to move someone else closer to a goal? Growth—What did I do today to make it more likely someone will learn something? Class—What did I “elevate instead of escalate” today? Self-Respect—What did I do today to be good to myself? Using questions like these, Dudley advises, can help people discover, define, and consistently deliver on their foundational leadership values. 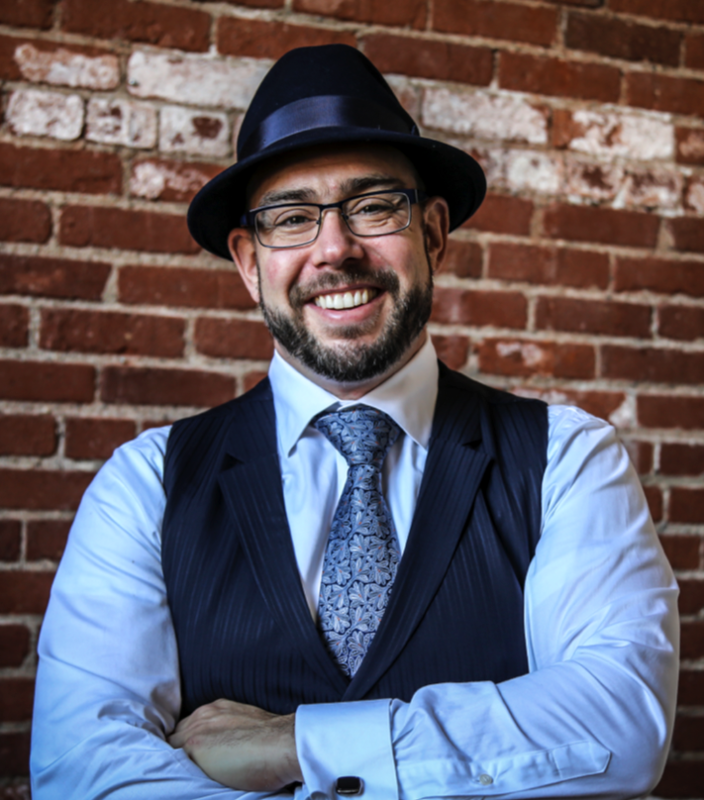 I tracked him down for a conversation to explore his thinking on personal leadership. Rodger Dean Duncan: In a nutshell, the Day One approach treats leadership as a daily choice, not as a title or accolade earned over time. What are some first steps to adopting this paradigm as an actual practice? Drew Dudley: First, don’t be dismissive of its simplicity. Simple doesn’t mean easy. It’s not unusual for high-performers, when presented with the Day One approach, to assume they’ve already moved beyond what it teaches … until they actually try it. That’s when they realize they haven’t moved beyond its principles—they’ve skipped over them. That’s not unusual for most people. The approach focuses on the foundational building blocks of personal leadership, so it’s not glitzy. It’s the miles of running in the rain before the marathon, or the hours in the gym before stepping into the ring: unglamorous and essential. However, the more committed you are to reinforcing the foundations of your personal leadership each day the more you raise your capacity for high performance. Second, you must embrace the idea that who you want to be each day should be prioritized over what you have to do. You must be willing to identify and commit to specific personal leadership behaviors that are non-negotiable each day. These behaviors can’t be put aside in the name of your to-do list. It’s not an either/or situation. A significant tenet of this approach is identifying how you can engage in those behaviors through your work so it doesn’t involve compromising your commitment to your career. Finally, recognize what the approach does not promise to do. It’s not trying to lay out how to become a senior executive or CEO, build high-performing teams, or acquire wealth, power and prominence—at least not directly. It’s designed to embed the behaviors necessary to be the type of person who is consistently great at those things. Duncan: Leadership, you say, is making your life less about living up to the expectations of others and more about a disciplined commitment to acting on your core values each day. What’s a good approach to clarifying what those personal core values really are? Dudley: Your key values are indicated by how you behave, not what you say. As such, it’s important to surface these values through reflective activities rather than simply asking yourself what they are. I cover this in detail in the book, but the key piece is an assessment of your decisions and behaviors—good and bad—and what values were reflected through those actions. Our focus often falls on the consequences and outcomes of our decisions rather than the values that drove them. My goal is to help people shift that focus, and in doing so reveal potential inconsistencies between the values you believe drive you and those that actually do. Duncan: You suggest that each core value a person identifies for himself should be accompanied by a question. That clearly serves as a daily call to action. Any other reasons for the questions? They demand specificity—the questions outlined in the book are constructed in a very particular way: they cannot be answered yes or no, but demand you are specific in the what, when and how you engaged in certain behaviors. They draw on psychological research that leverages unconscious drivers of human behavior, supporting your conscious efforts to deliver on your personal leadership commitments. They allow for a daily assessment of your personal leadership—a daily “leadership test” that speaks to your success at aligning your key leadership values with your behavior. Duncan: What role does courage play in living a Day One life? Dudley: Courage is essential for growth, innovation, and resilience. However, we may not realize how our daily commitment to courage is eroded as we move through an education system that villainizes mistakes and stresses compliance over courage. The Day One process aims to re-embed courage as a daily practice—ensuring you consistently challenge the status quo in ways that benefit you and your organization. Leaders are often afraid. But they don’t let fear lead to inaction. The Day One approach frames courage as a commitment to taking action when there is the possibility of loss. It recognizes that while the potential loss may be something tangible—money, a job, or an opportunity—it’s more often than not a perceived loss—a loss of face, of respect or prestige in the eyes of others. The Day One approach doesn’t ask you to simply “get over” that fear, but rather offers specific strategies to challenge that fear daily. Duncan: Many people seem to view life as a zero-sum game with winners and losers. How does the Day One approach help replace that scarcity mentality with something better? Dudley: The scarcity mindset focuses on money, titles, and influence as goals. The Day One approach positions them not as goals but as the natural by-products of consistent value-based behavior. Most importantly, it provides a process for ensuring that consistency. The Day One approach fully embraces an important reality: you’re not always in charge of what you have to do every day, but you’re always in charge of who you are. It doesn’t deny that winning and losing is a fundamental part of our lives and careers or ask you to simply reframe losses as “wins because you learned something.” It provides clear daily goals over which you do have complete control—goals that can provide momentum even on the days where everything outside of your control personally and professionally blows up in your face. Duncan: What happens when we challenge traditional definitions and redefine what leadership really is? Dudley: We ruffle some feathers. People who have worked 90 hours per week and sacrificed their relationships for a corner office or dropped 150 grand on a degree sometimes see a broader definition of leadership as inferring “you’re not so special after all,” and push back. I’m not trying to devalue traditional definitions of leadership or tell anyone who’s worked hard to get ahead or set themselves apart that they are any less impressive or deserving of what they’ve achieved. What I am arguing is that there is a form of leadership to which everyone can and should aspire, and that many individuals who are considered “successful” have dismissed as unimportant. By defining leadership so narrowly for so long, we’ve ensured that the majority of people in our organizations minimize their potential impact on the organization, clients, and colleagues. 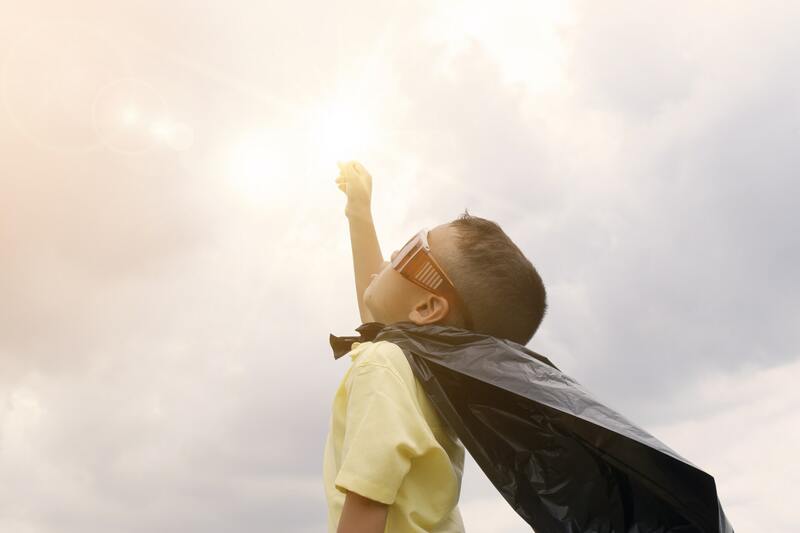 At the same time, many people who occupy C-Suites can’t define their core leadership values or identify a single act they undertook today to live up to those values. When we reframe leadership as being evaluated on a daily basis—determinedsolely by how any one person is behaving today, not what they’ve accomplished over time—we reinforce the idea that everyone starts at the same place each day: with an obligation (and the ability) to positively impact the people, organizations, and communities around them. This entry was posted in Blog, The Duncan Report and tagged Commitment, Goals, Life, Mission, Performance, Planning, Values. Bookmark the permalink. Post a comment or leave a trackback: Trackback URL.